We’ve blathered on at length here as to wether or not cars can ever be in and of themselves works of art – most people who care about cars – who are interested in them at any kind of aesthetic level – will have an opinion. Like most, it’s a debate that becomes more complex the deeper you delve. When you commission a working artist to use a car as a blank page, there are bound to be interesting results. Often, though, the cars that have resulted from bearing the brush seem awkwardly rendered. This isn’t the case with Sandro Chia’s E36 3 series GTR. Chia has created a car that looks back at you. 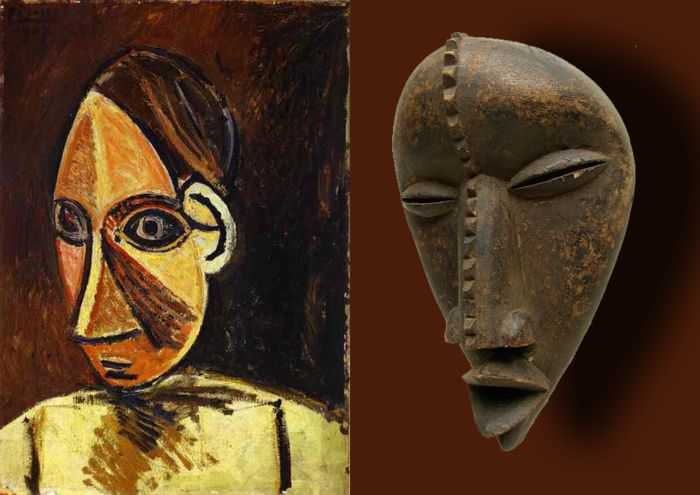 Those anonymous faces have a primitive quality – like those rendered by Picasso, who had been fascinated in the 1920s by so called ‘primitive’ art from Africa and the other colonies. It’s the humanising qualities that makes the car ‘work’ at an aesthetic level. Combine the sort of mechanical exactitude of an M3 with hi-end representation and you have something that is more than the sum of its parts. We as a species may be little more than monkeys with a lot of brain power who have found ways to represent themselves as special. We adorn ourselves with bangles to prove our potency. Is this the real reason we like shiny things like artfully created cars?